Take in the passion of Portugal from the unspoiled landscape of the Algarve to the stark beauty of Lisbon and its bleached limestone buildings. Be awed by the Moorish palaces, dazzling beaches and championship golf courses. And only 2 hours away the remote but stunning Azores. Scheduled departures - 8-day/6-night package visiting Lisbon & Porto. Includes accommodation at first class hotels with breakfast daily, a hop on/hop off tour of Lisbon, and a 2nd class ticket for a train from Lisbon to Porto. Enjoy a day away from the hustle and bustle of Lisbon on a visit to the nearby natural and architectural beauty in Sintra . After hotel pickup at around 8:00am, begin this half-day tour with a walk in Sintra historical center. Next, visit to the historical and Mystic Pena Palace .Our local guide will make a guided tour to show some of secrets about this magical Place . Continue on with a drive through the Natural Park, passing the palaces of Seteais, Monserrate . Lisbon is a popular tourist destination, not only for being Portugal’s capital and largest city, but also for it’s picturesque streets, beautiful beaches and many historic attraction! With a 24-hour ticket, hop-on and hop-off at any of the tour stops along the 2 routes to discover the sights that interest you most. Passengers can also choose to stay on the tour for the full duration, which takes approximately 90 minutes for each loop. City Sightseeing Lisbon will take its passengers on an adventure to some of the city’s most memorable sights. Start both loops at the Marques de Pombal and enjoy panoramic views from the get go on our open-top deck – sights of Lisbon’s cobbled streets and colourful buildings can be enjoyed for much of the tour! Passengers on the bus will also experience amazing views of the city’s many gothic-style architectures and old-fashioned buildings, such as its cathedrals. For a truly unique picturesque location, hop-off at the Jardim de Estrela,to enjoy beautiful acres of land, wildlife and waterfalls. Along the tour, passengers will be spoilt for choice with the number of museums along the two routes. The Water Museum and Car Museum are two of many critically acclaimed museums in Lisbon – one boasts an array of classic and rare cars, whereas the other tells you all about how Lisbon’s supplied with water! The Calouste Gulbenkian Museum is a great spot for those of you who love art, it’s home to many unique and eye-catching art exhibitions. If you’re looking for a more leisurely attraction, why not hop-off at the Lisbon Oceanarium, Lisbon Zoo or the El Corte Ingles – the biggest department store group in Europe! Porto, the second largest city in Portugal and one of the most popular, has countless attractions, landmarks and tourist hotspots to boast about. This city is not only UNESCO-listed, but it is also significant for being the birthplace of Port wine, it’s Romanesque and Gothic-style architectures, as well as high quality food and a vibrant nightlife! With your ticket, you’ll have access to 2 routes, the Blue and Red Lines, with a total of 44 tour stops. The tour begins at the famous bell tower, Torre Dos Clérigos, before you join the tour you can climb the tower to enjoy spectacular panoramic views from the tower’s viewpoint. When you’re ready, hop-on to the bus as it takes you to Porto’s most memorable sights, including Carmo Church, iconic for it’s striking blue and white exterior. If you want to discover some of the history of Porto, hop-off at its many popular tourist museums along the route including Museu de Soares and Museu do Vinho. Your tour of Porto wouldn’t be complete without visiting one of the city’s world-famous wine and port cellars – for over 18’s only! You can try more of Porto’s traditional beverages, as well as food, at the Mercado de Bolhao, another tourist hotspot for its many culinary delights. See more along the Red Line, including the Palacio da Bolsa, one of the city’s most important landmarks relating to Porto’s heritage and enjoy panoramic views of the stunning Cais das Pedras from the bus’ open-top deck. We offer a wide variety of 3, 4 & 5-star hotels throughout Portugal. 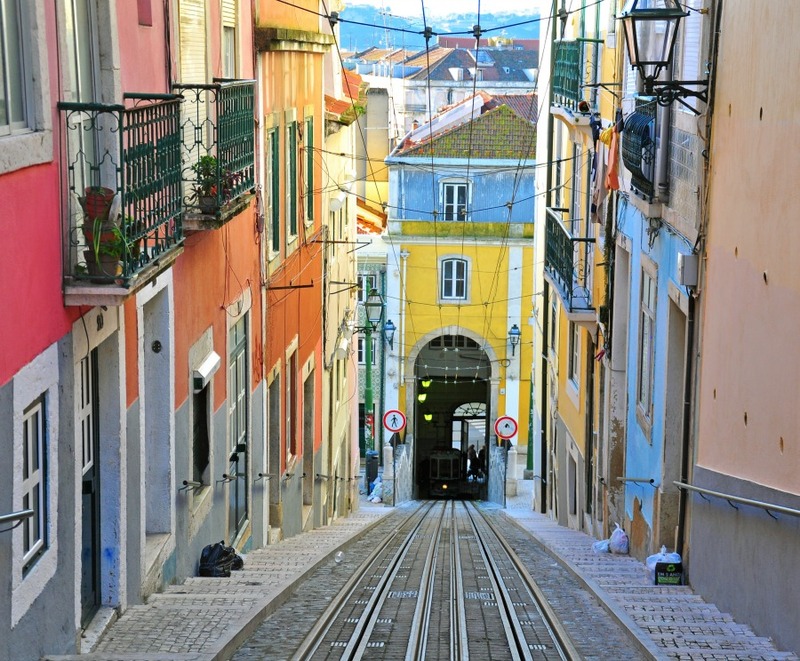 From colorful Lisbon with its harbor and history to the wine capital of Porto, Sintra and the beautiful Algarve. The art, history and culture will keep you fascinated. Let us help you choose the right accommodations and the perfect itinerary. Add a car rental, rail ticket, arrival/departure transfers, tours. Departs daily, 5 days - 4 nights package visiting Lisbon, Coimbra, the Dour Valley and Porto. 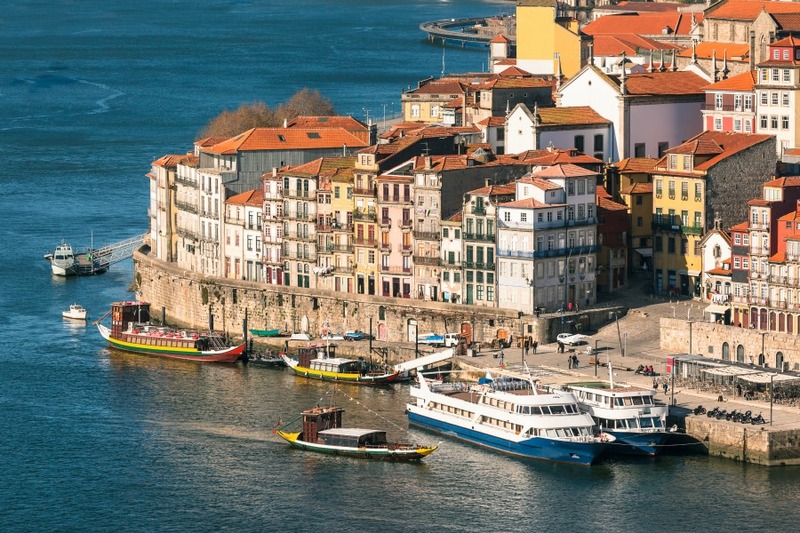 Includes accommodations with breakfast daily, a compact manual rental car for 5 days, a Fado Show with dinner in Lisbon, a 1 hour river cruise in Porto and a winery visit in Porto. Operates year round, add nights, upgrade car rental, add tours.